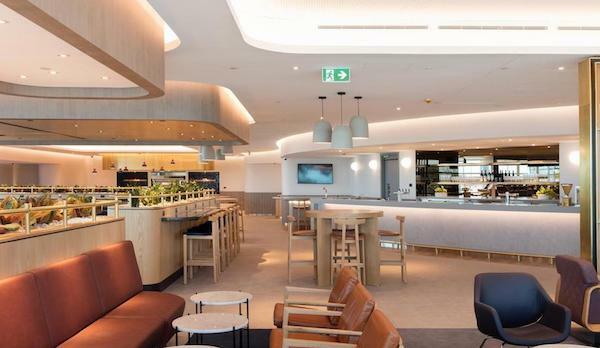 The Qantas Domestic Business Lounge in Perth opened in 2015 to much fanfare, as the first of the new-look domestic lounges, which are modelled off their international counterparts in Singapore, Hong Kong and Los Angeles. 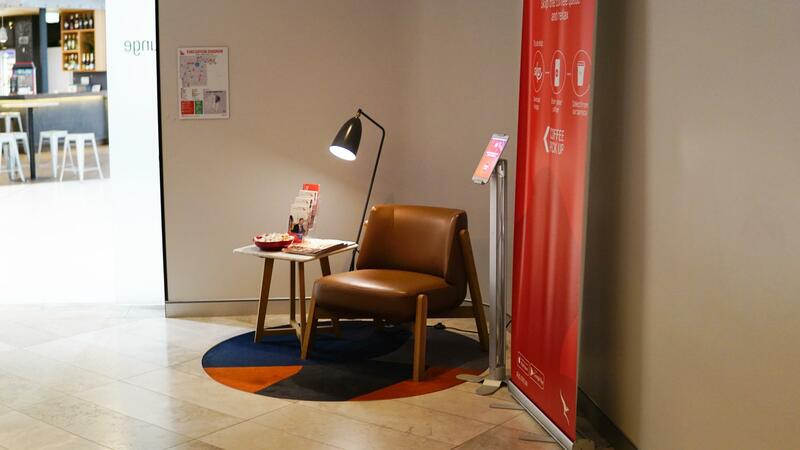 This lounge is accessible both to those travelling domestically on Qantas or Jetstar as well as those on Qantas’ international flights to Singapore and Auckland, which depart from the adjacent T3. 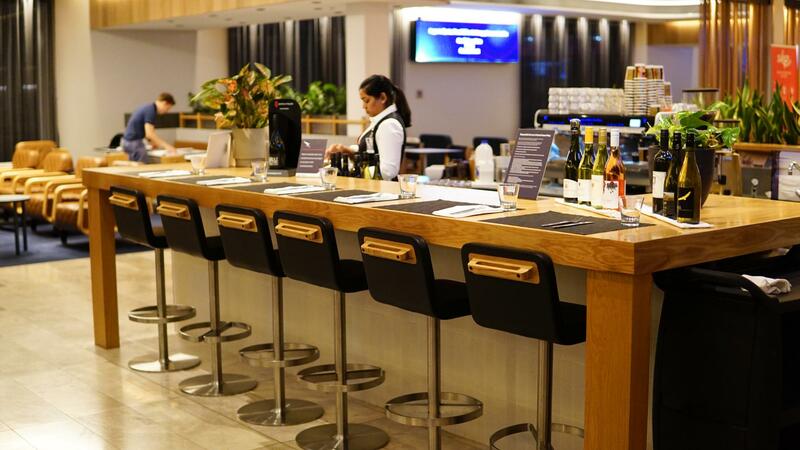 If you are flying nonstop to London, then you may prefer the International Transit Lounge instead. 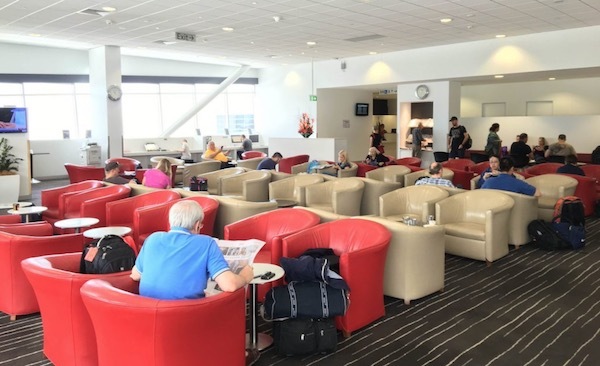 Access to that lounge is granted both to those departing from Perth and those arriving in Perth from other cities and connecting onto the London flight. 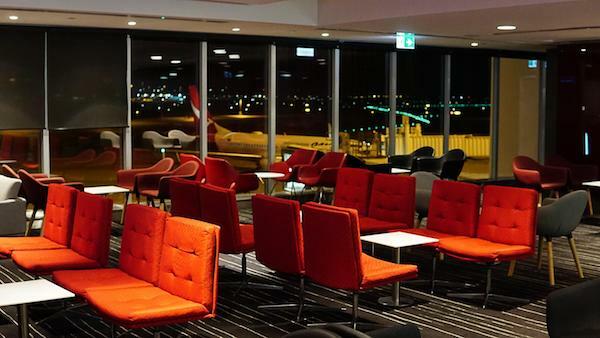 However, as the transit lounge is only open two hours before the 6:45pm departure to London (as well as the two hours after the 1pm arrival of the return flight), if you arrive to the airport early, you may prefer to spend time in the International Business Lounge (this review), then clear customs and immigration, and spend the last two or so hours before departure in the transit lounge. After clearing security in T4, head up the escalator to the departures level. 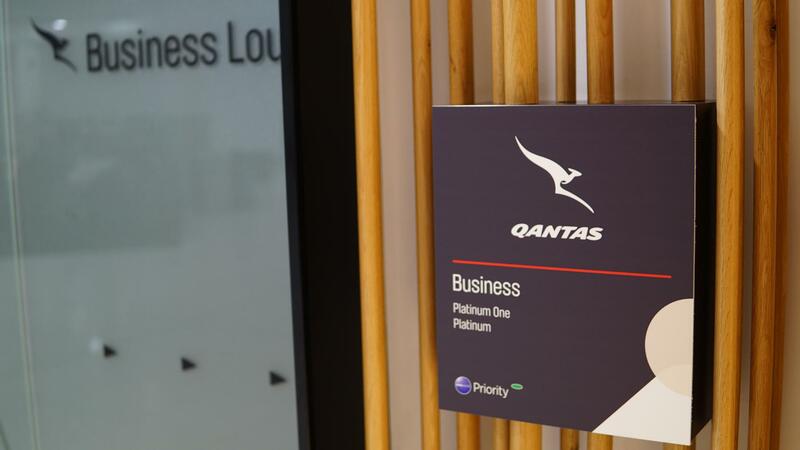 You will see large signs on the walls that point out the Qantas Club and Business Lounge locations. 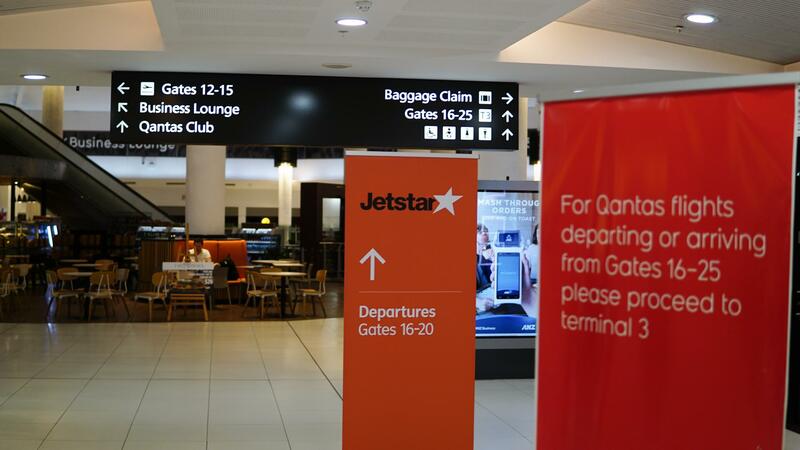 If you have checked in at T3 (for Qantas Singapore/Auckland or Jetstar domestic flights), then after security head left to the walkway connecting T3 to T4. 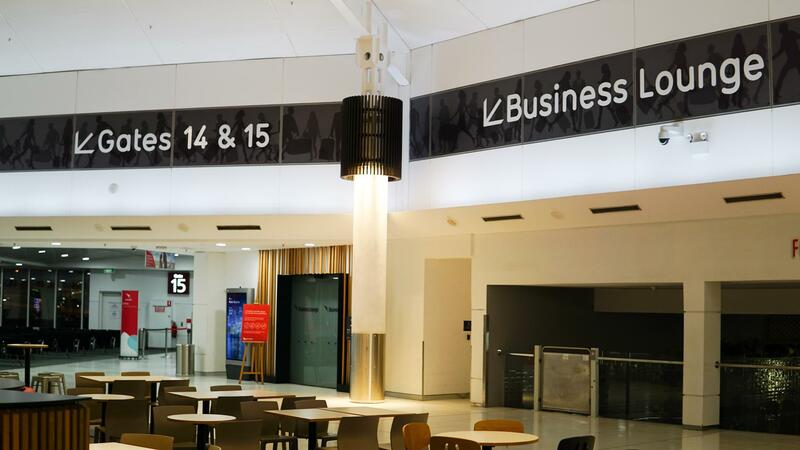 At the end of the walkway, turn right and you will find the Business Lounge about 20 metres ahead. 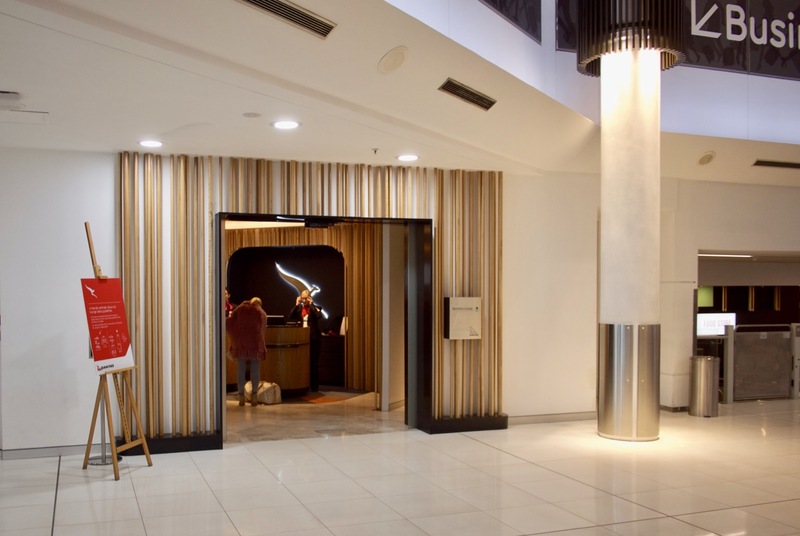 Head through the frosted doors, and flash your boarding pass at the podiums located within. 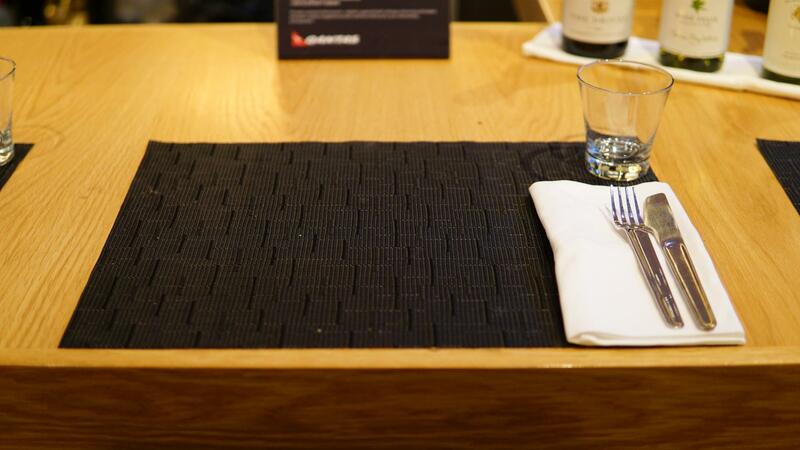 Immediately to your left is a solitary waiting seat that somewhat looks too good to sit in. There is also a tablet where you can place your coffee order with the mobile app Skip and collect it without queuing later on. Heading straight into the lounge, there is the meeting room on the left (the windows in the background), as well as a quiet seating area. This area is the most relaxing part of the lounge, as there are limited TV screens and it is away from the buffet and bar. The bathrooms are also located in a corridor opposite these chairs. Limited tarmac views are available through the shaded windows along the wall. Heading further in, there is more seating to the left and directly ahead. There is a coffee station/satellite bar on the right. 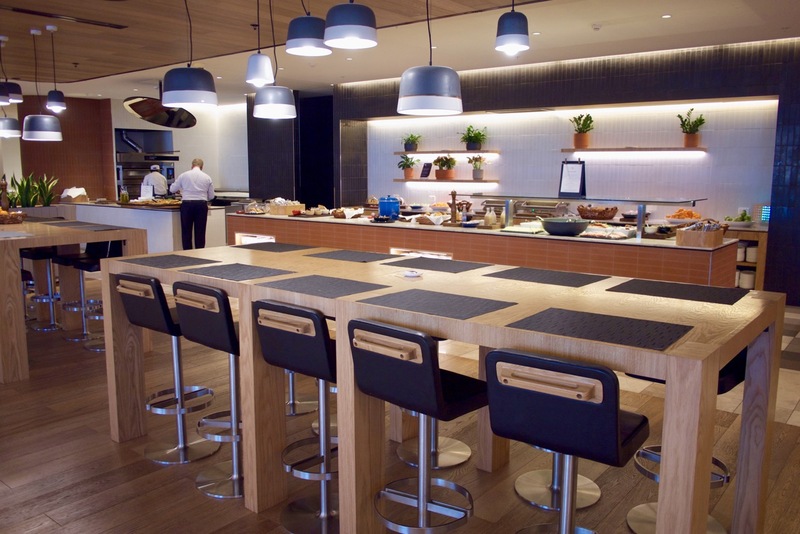 The shared bar seating is one of a few places to enjoy the ‘Plate of the Day’ for breakfast and other main meal periods. 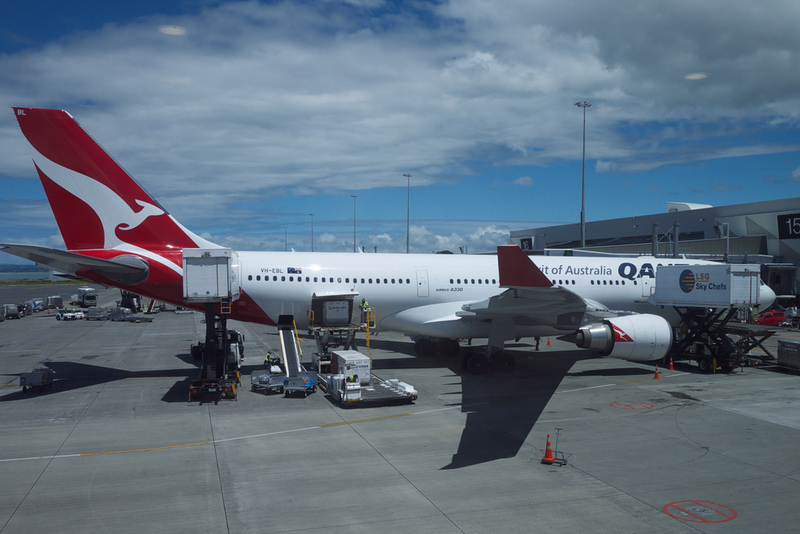 Unfortunately, it was not operating before the final red-eye departures from Perth. 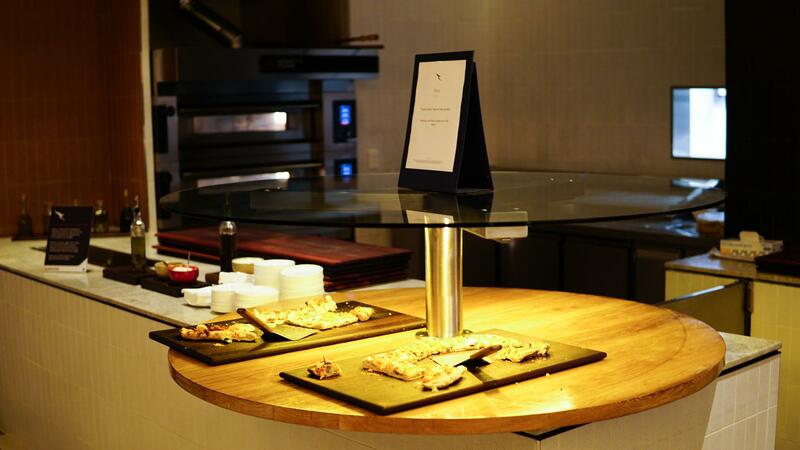 Moving into the heart of the lounge is a magazine stand, the buffet station and a pizza kitchen. 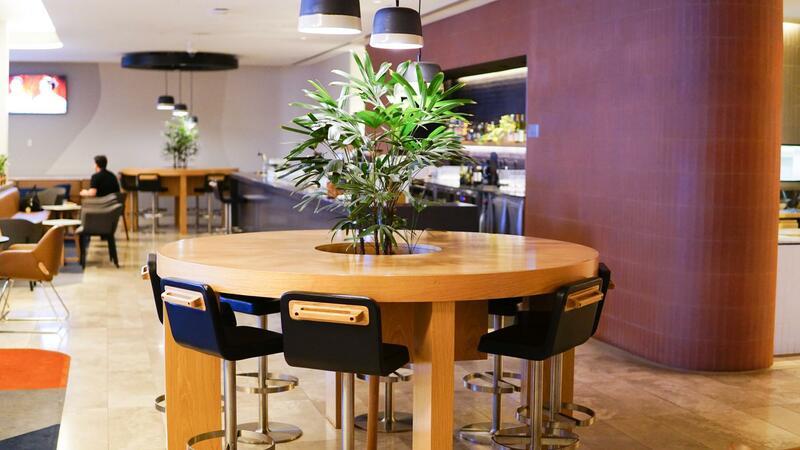 There are further shared dining bar tables and smaller round tables in this area. 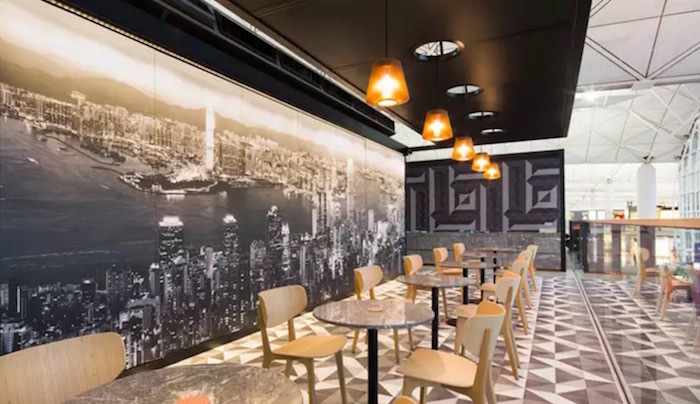 Snaking around the corner is the drinks bar and TV lounge area, which proves to be the best area to socialise in—there is plenty of communal seating around here (the tended bar is hidden behind the foliage). 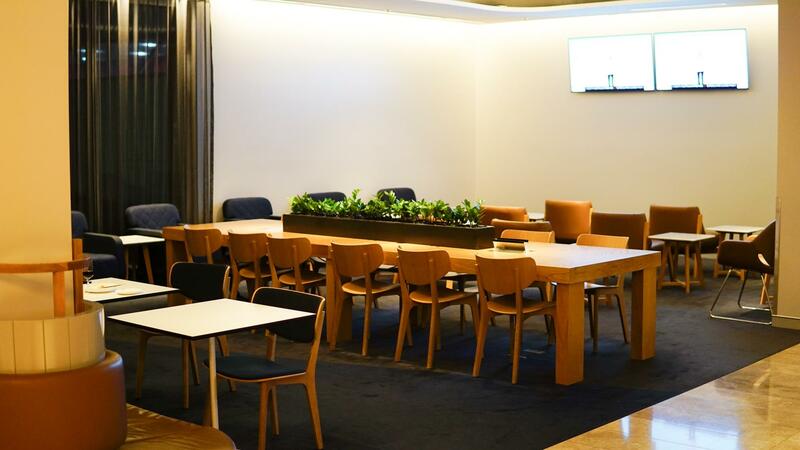 Charging and USB ports are widely available throughout the lounge in all seating locations—either on the table surface or running along the walls. 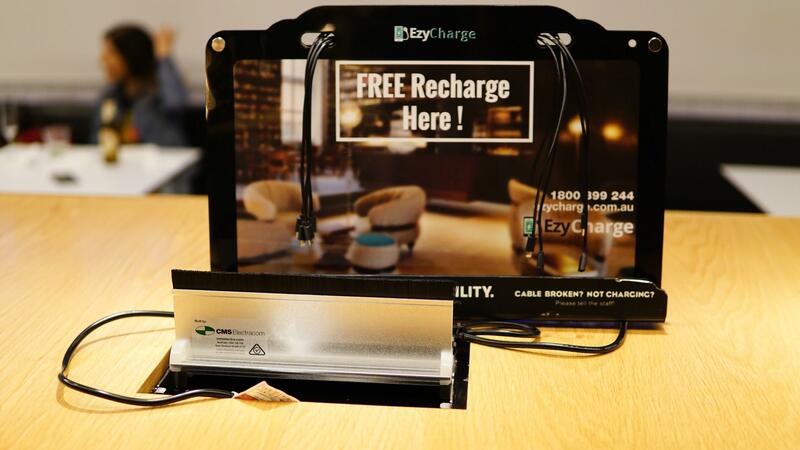 There are also dedicated recharge stations. 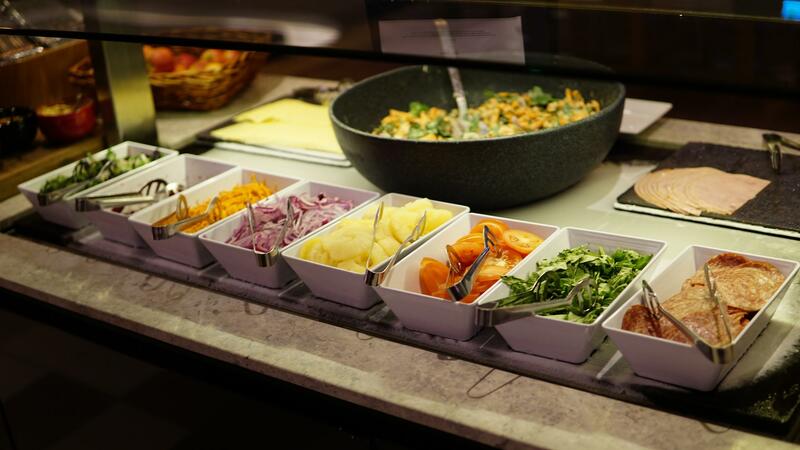 There is an ample selection of food options from the buffet. 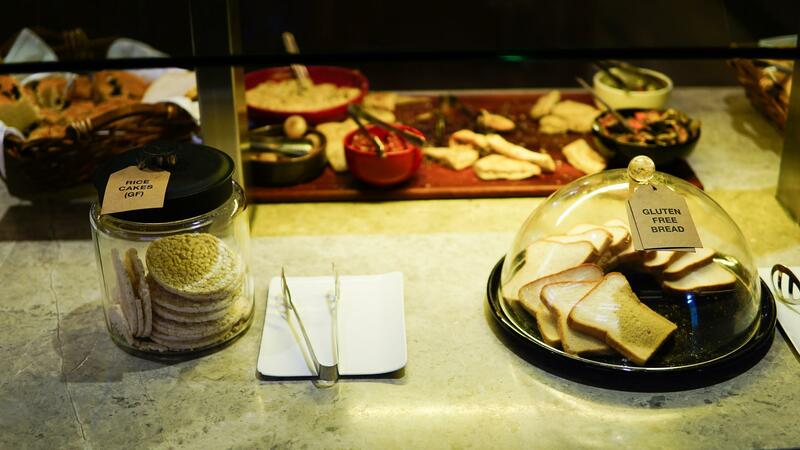 The lounge’s specialty is pizza, baked fresh by a chef in a pizza oven according to demand. 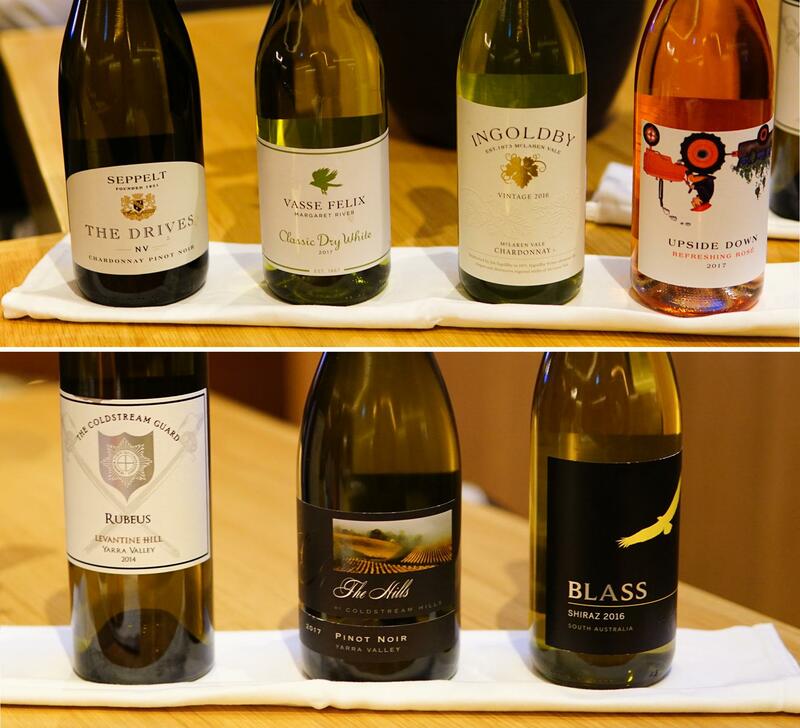 There is a decent selection of wines on offer, although an Australian sparkling wine takes the place of champagne. 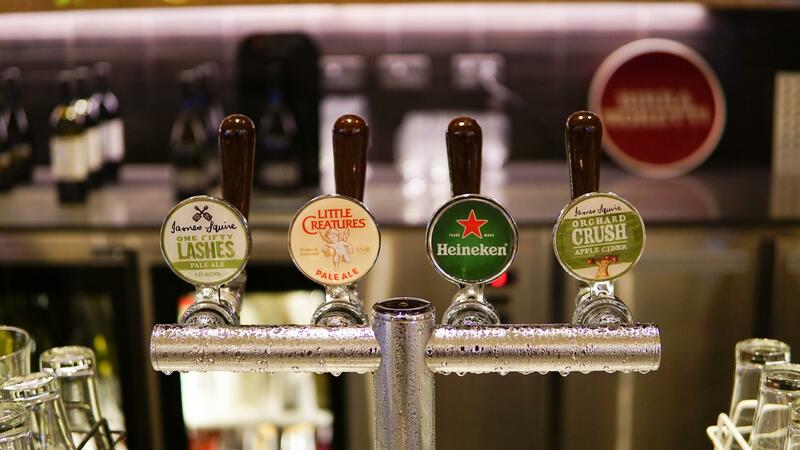 Beers are available on tap and bottled in the fridge, showcasing Western Australia’s own Little Creatures Brewery. 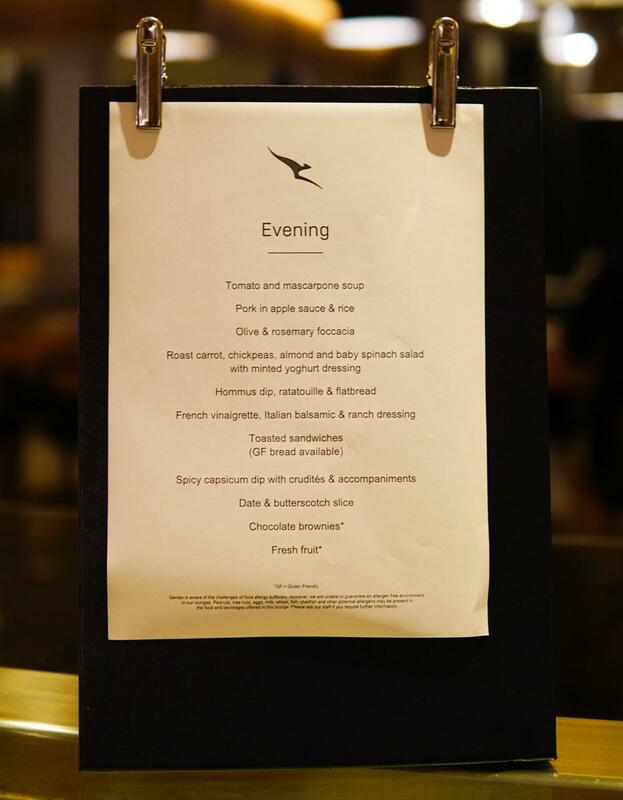 Your standard selection of spirits and mixers are available. 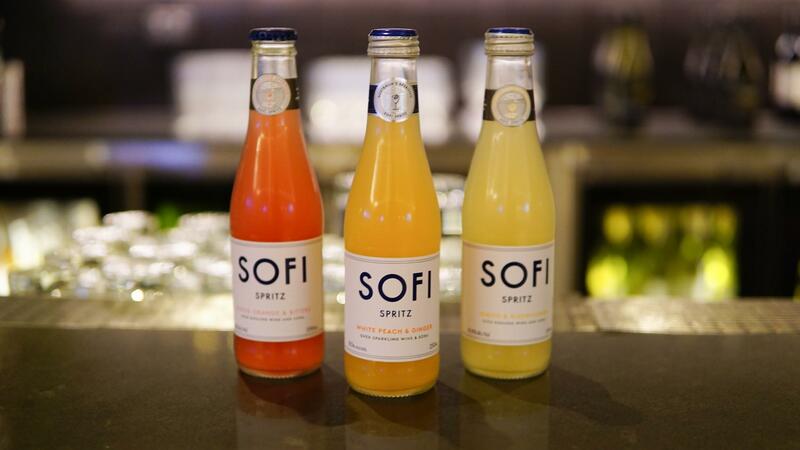 For those seeking something a bit easier drinking and adventurous, the lounge stocks the Sofi range of pre-mixed spritzs. 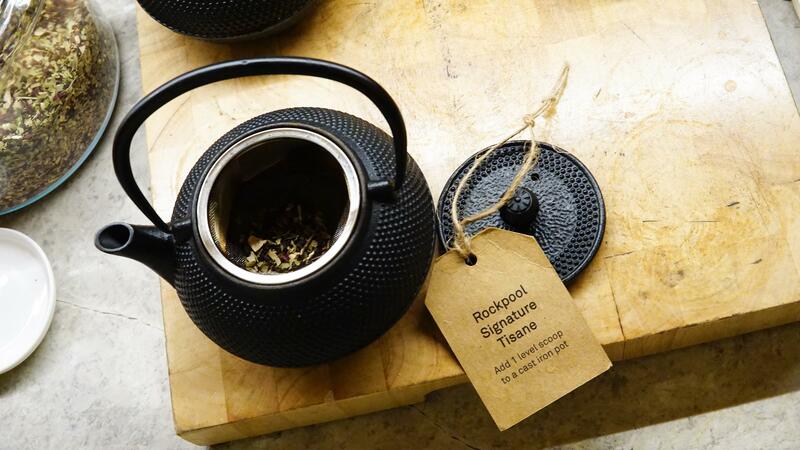 Soft drinks are available from the tended bar—there is no self-serve option for those. 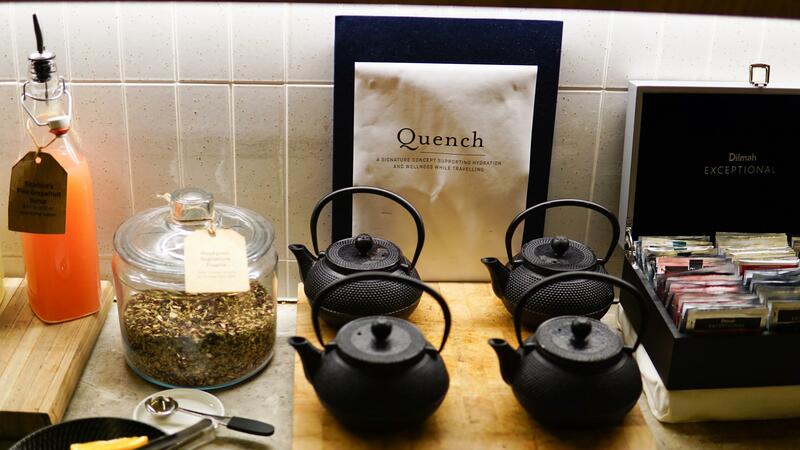 For minors and those looking to stay hydrated, the ‘Quench’ station offers fruit-infused waters, Rockpool signature tisane tea complete with iron cast pots, Bickfords cordial, Dilmah tea and a cool/sparkling/boiling water dispenser. 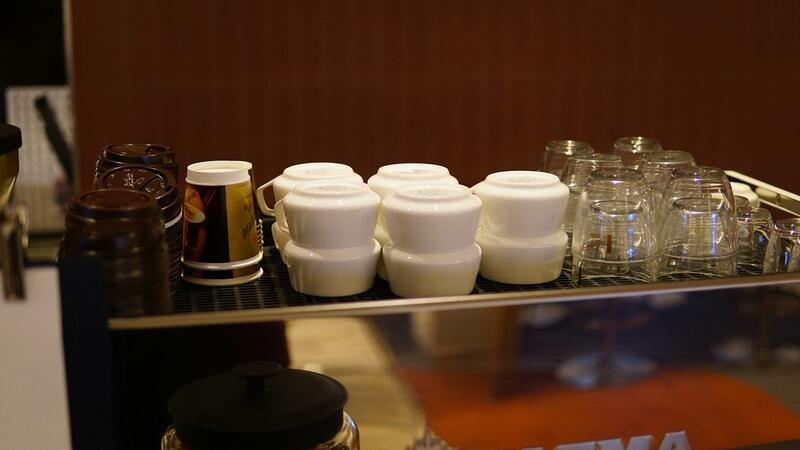 Finally, Vittoria coffee is available from the two barista stations—one at the main bar and one at the satellite bar. 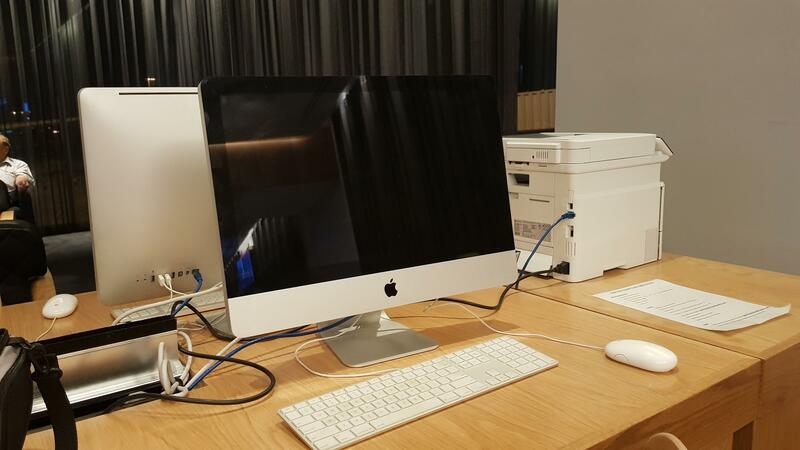 Rounding out the lounge is a small nook with a couple of Apple computers and a printer capable of wireless printing. 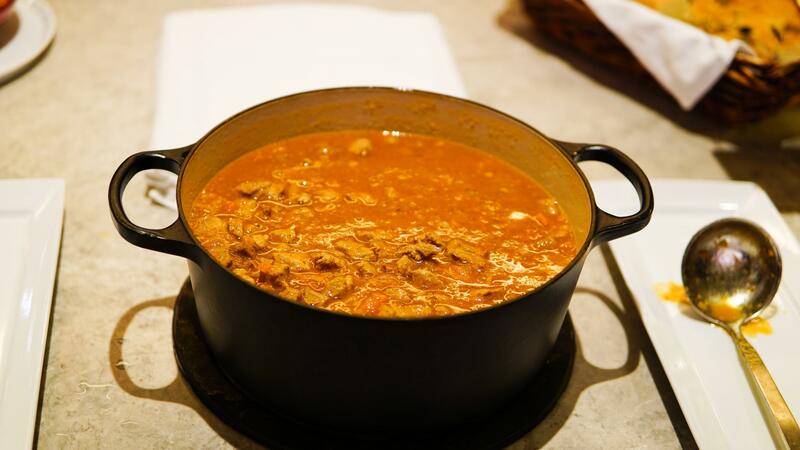 The well-appointed bathrooms are stocked with ASPAR soap and hand cream, and thick paper towels, in line with the other Domestic Business Lounges. 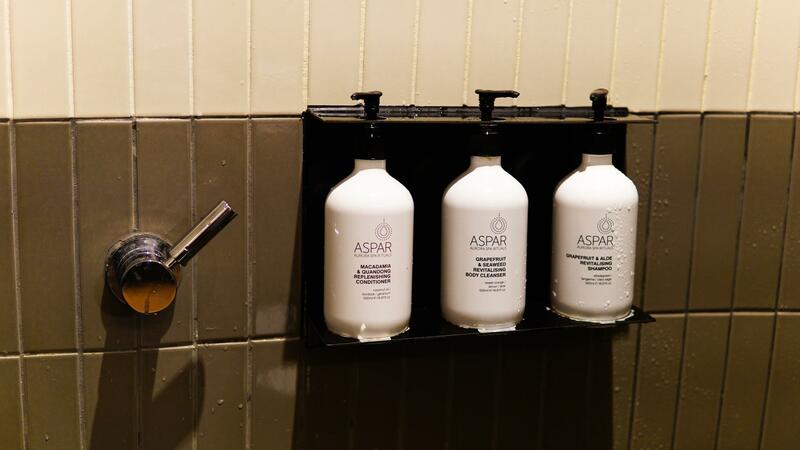 The separate shower rooms are outfitted rainfall showerheads and three types of ASPAR shower products. 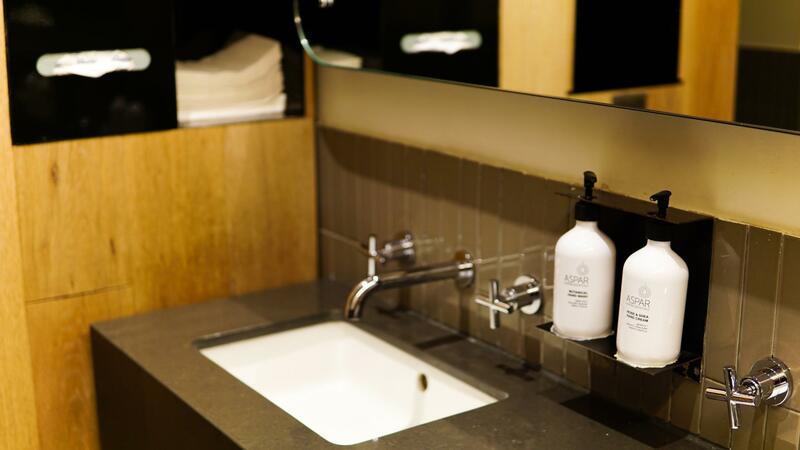 A towel set is usually already placed in the room if it is clean, however, as usual, you can ask for a set from reception. 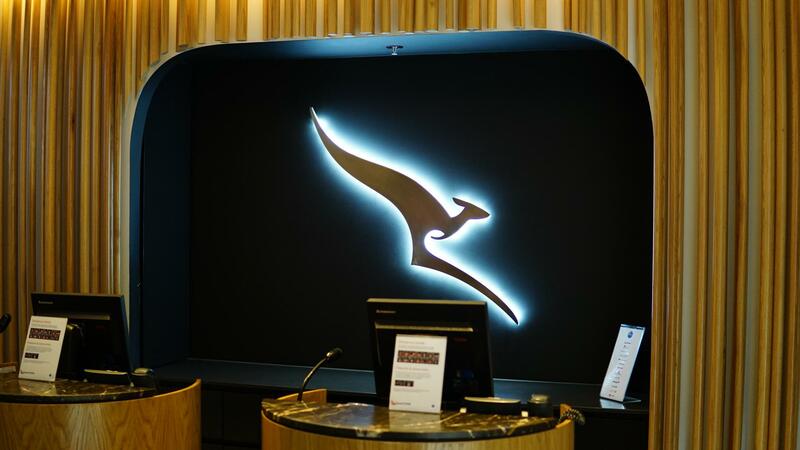 This includes passengers travelling solely on the 787 Dreamliner QF 10 service from Perth to Melbourne, who do not have access to the transit lounge. 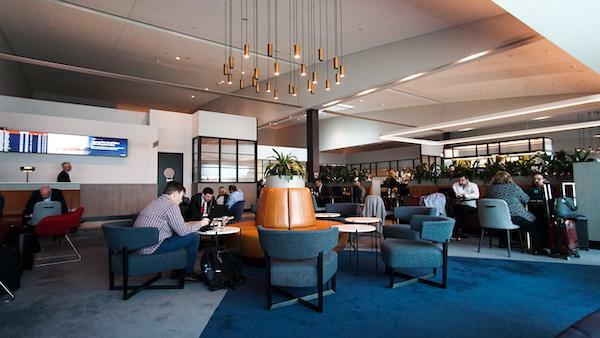 If you have Platinum status or higher, you can access this lounge even when on a domestic Jetstar flight, as they depart from the neighbouring T3 gates, a short five-minute walk from the lounge. 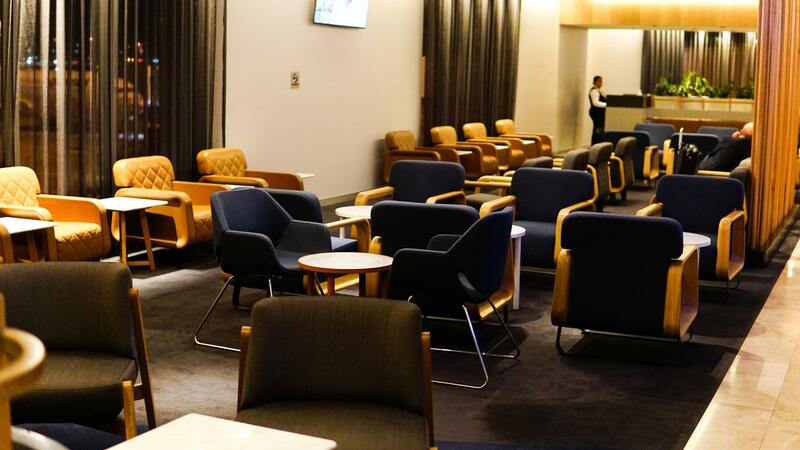 Credit cards, Qantas Club membership and individual day passes aren’t going to get you into this lounge flying domestically but they may get you into the neighbouring Qantas Club. 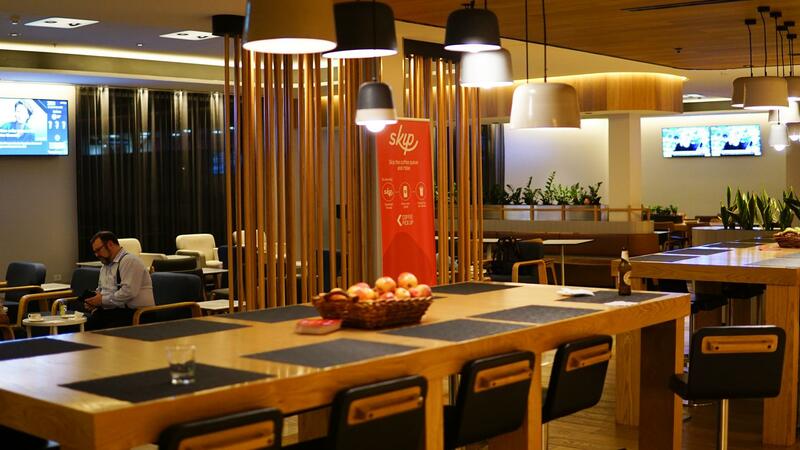 Guests are usually allowed in the lounge (1-2 depending on your entitlements) and do not need to be travelling at all. 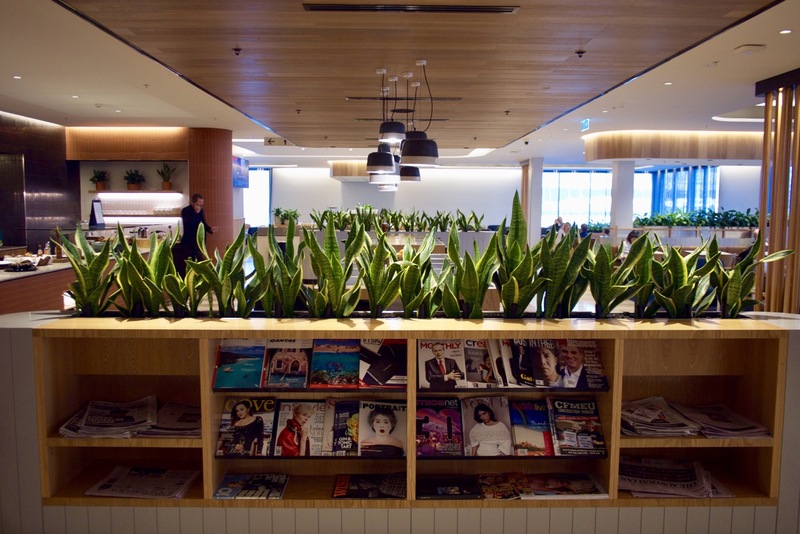 The Qantas Perth Business Lounge has certainly set the bar high as the first of Qantas’ new-look domestic lounges. 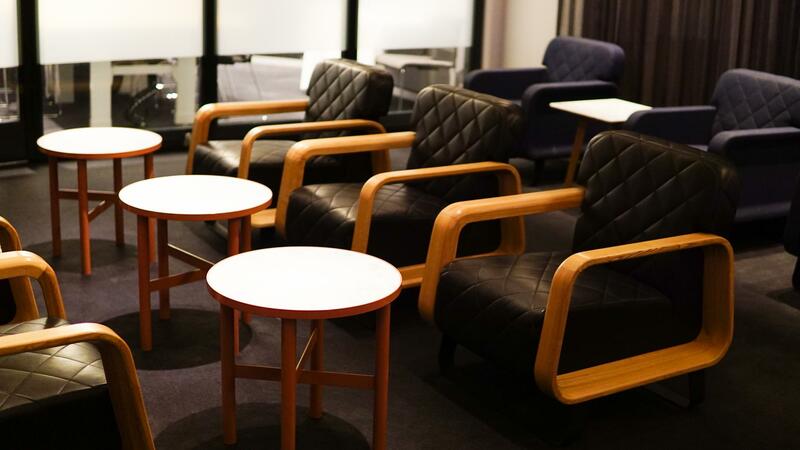 The lounge has a relaxing ambience and ‘premium’ feel to it and is complete with high-quality furnishings and amenities. 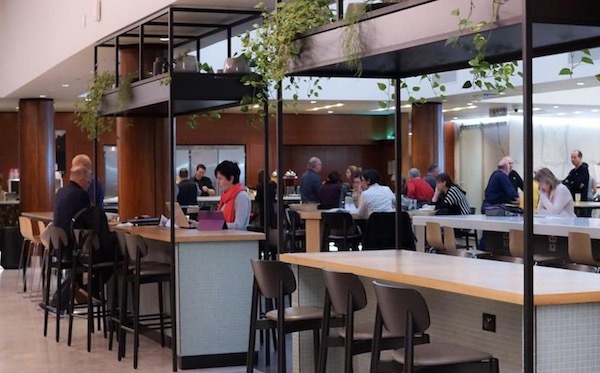 International passengers will certainly find this lounge to be a step-up from the old T1 International Business Lounge they would have used previously. 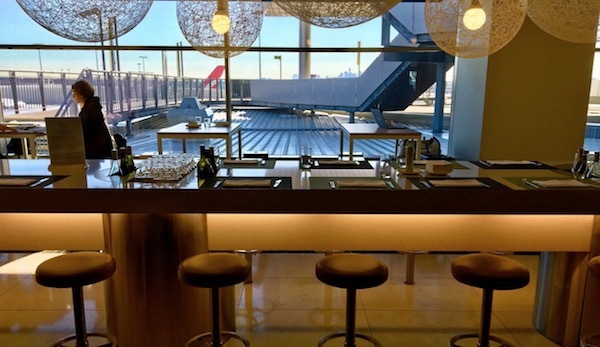 The question is now whether Qantas will update the buffet with a few more dishes, and consider opening the bar earlier to accommodate passengers on the international flights, as is the standard with their other International Business Lounges around the world.